Rein Mullerson was Deputy Foreign Minister of Estonia during the country's independence struggles and is a distinguished professor of international relations. His book is concerned with the interplay of international law and politics in the changing international system. He analyses events in Eastern Europe and the former USSR to throw light on broad and controversial issues including non-use of force, non-interference in internal affairs, self-determination of peoples, minorities and nationalism in inter-ethnic conflicts and human rights in post-totalitarian societies. Controversial questions of continuity and succession of states and their recognition are also set in this context. 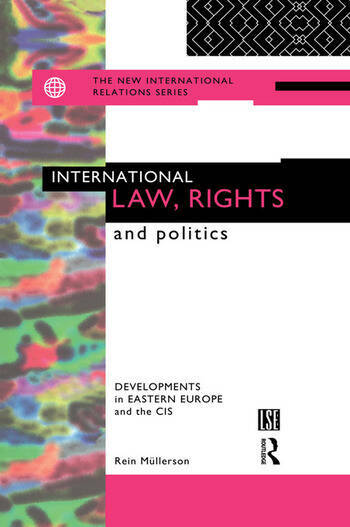 One purpose of the book is to show how recent developments influence the international system as a whole and how international law has to change in order to respond to new challenges.